Arki_nopoly is a tool that we have used in so many of our projects, and it has always provided us with amazingly interesting data about how people perceive their surroundings and how they wish it to be. To make this tool accessible to a larger audience, at the beginning of 2016 we decided to digitize the game. 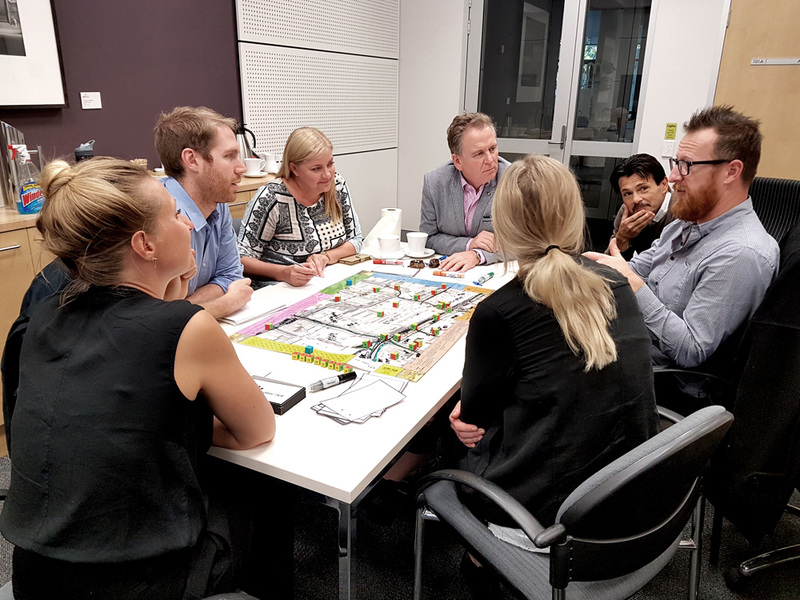 Pascal Perez, a friend of the office and the head of SMART Infrastructure Facility expressed his interest to collaborate with us, as he could see a large potential in the Australian planning context to utilize arki_nopoly. 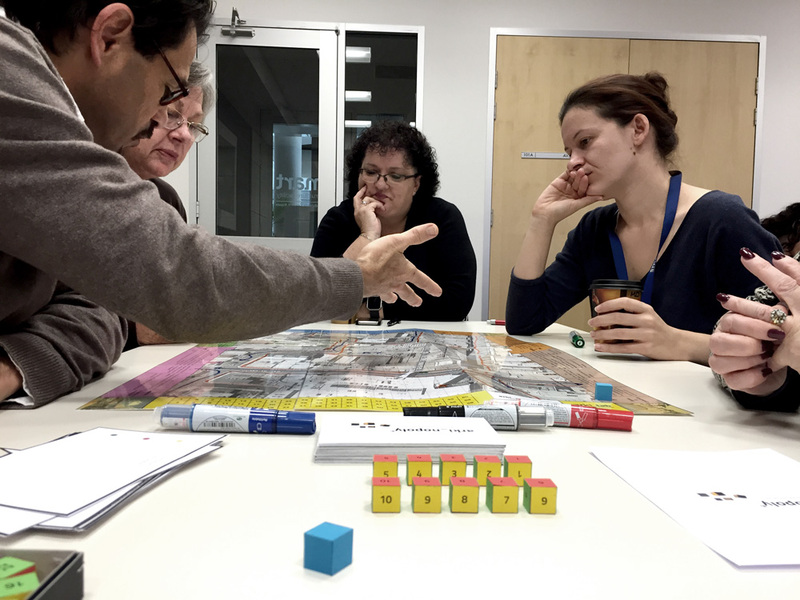 Our collaboration was kick-started this June with test-playing arki_nopoly at the University of Wollongong. We chose Wollongong CBD, or more specifically the new Wollongong Mall and its immediate surrounding, as our case. 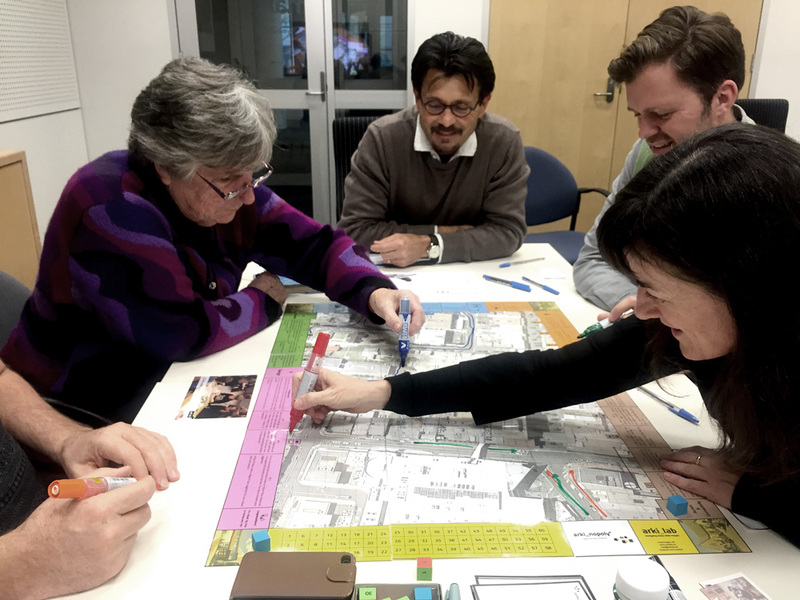 This was a newly built area in wollongong and we were curious to know if it functioned as it was planned and to know how to users perceived the area in general. 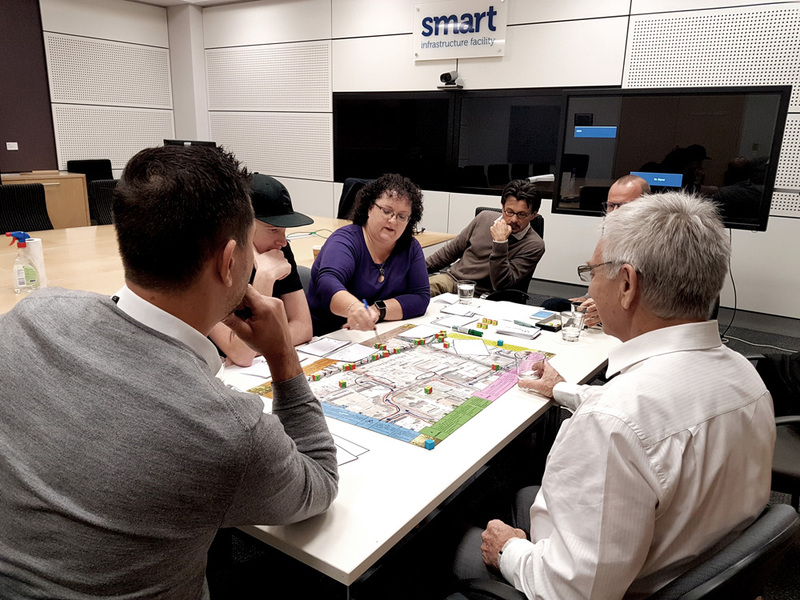 We conducted 5 gaming sessions with 5 different groups from different disciplines and backgrounds: City planners, Local business owners, SMART staff, researches and a mixed age-group. 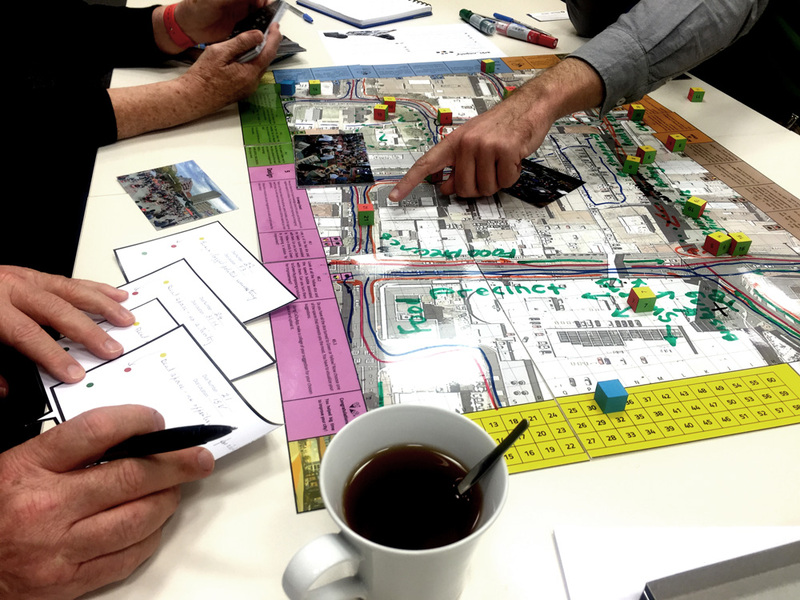 Especially the City planners were thrilled about the game because it facilitated a more a creative and constructive dialog, that made them think out of the box. 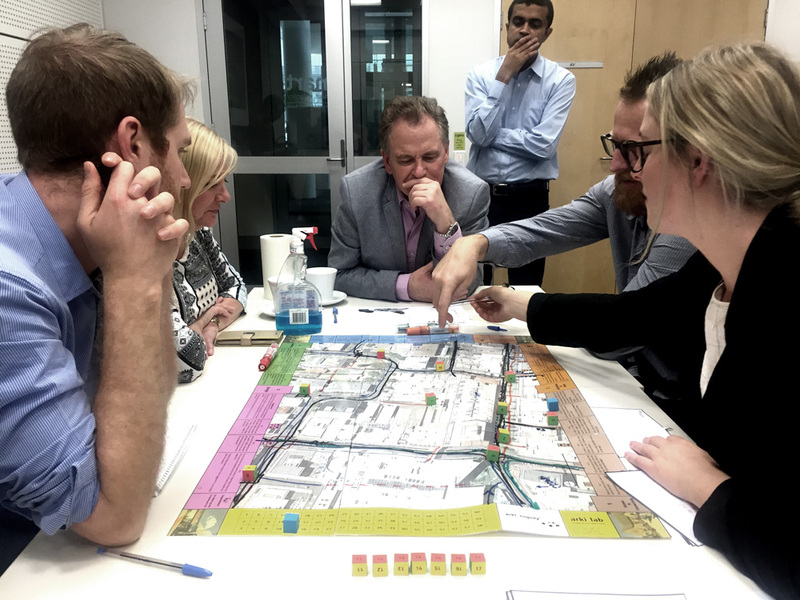 It worked perfectly as an internally working tool for evaluating areas and coming up with new solutions. They where able to disregard the legislation, that made them discover new potentials and come up with different solutions. 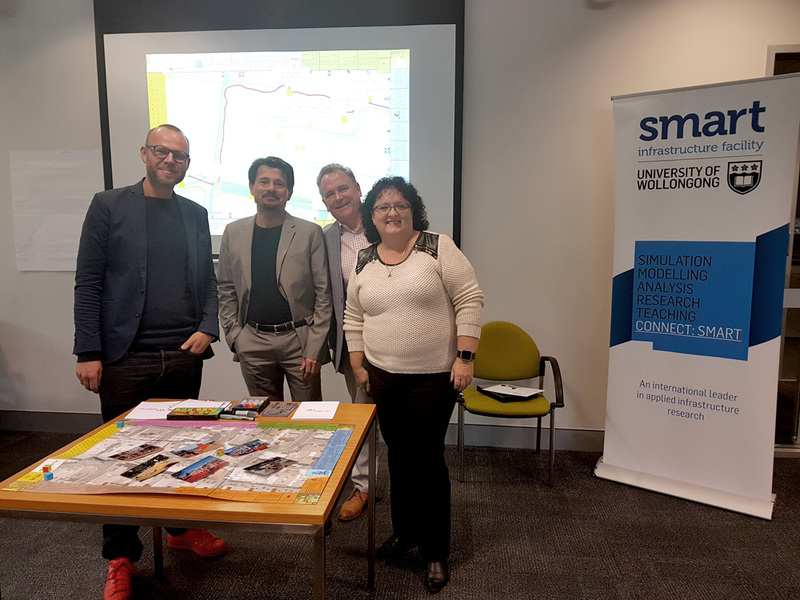 SMART and arki_lab are working on the digitization now and the first prototype will be presented in September at the next ISAGA conference in Melbourne. 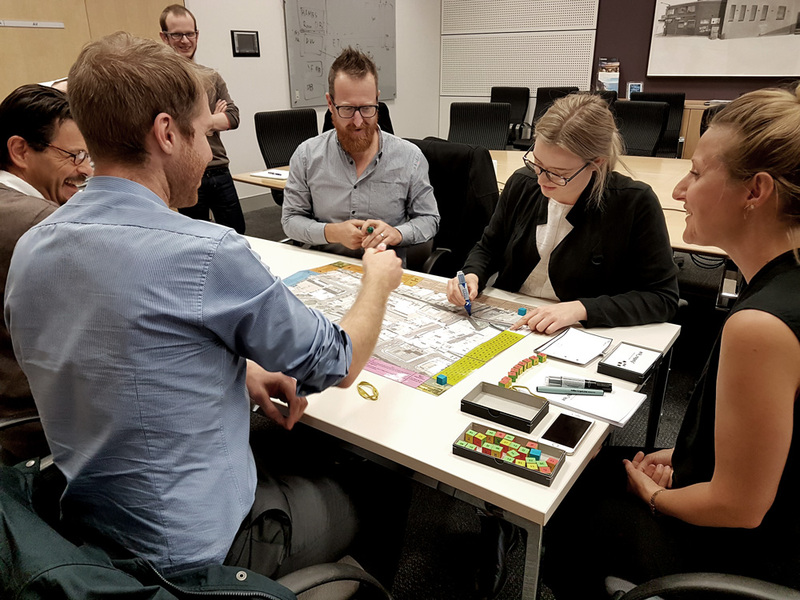 Through the collaboration we hope to make arki_nopoly more accessible and flexible thorough digitization and to create a comprehensive data bank of citizen’s wishes and ideas for their city, which would be a great resource for designers and municipalities.